As this concept is fairly new to the site, perhaps it is wise to spend some time explaining what Black Eyed Kids really are, and why they are so fearsome. 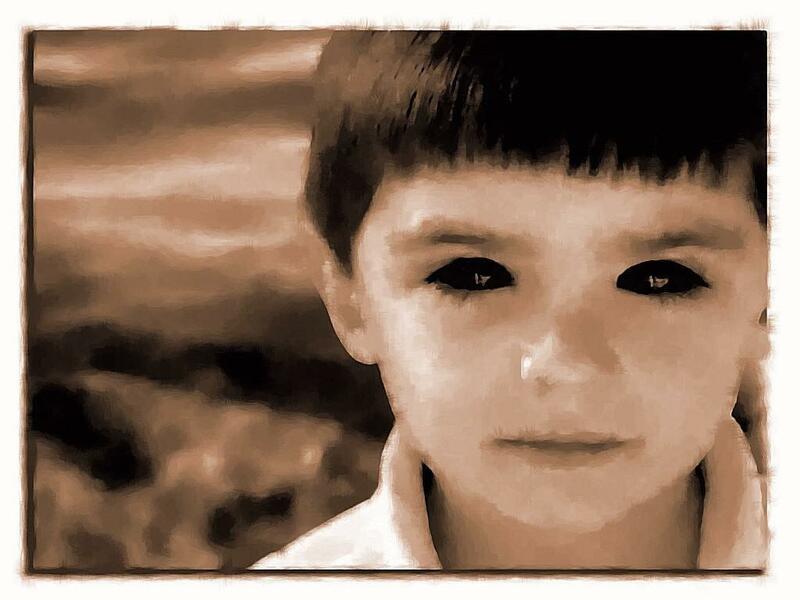 Amongst the most feared entities of all time, the black eyed kids (or BEKs) are described as kids aged from 9 to 16, with otherwise normal physique and behavior, but completely out-of-the-world eyes. Their eyes, without any distinguishable pupil, iris or schlera, are pitch-black, something like the evil entities from Grudge- the movie. They appear in either normal or a bit old-fashioned clothes, and are said to speak in a tone too mature for their age. They generally appear lost and helpless before your house or car, making an insistent request to be let in. For some reason, witnesses report feeling an inexplicable fear in their vicinity, even before noticing their diabolic eyes, and are mostly found fleeing the scene immediately. The children allegedly use some low-level hypnotism, for people often report unconsciously letting them into their property, right before noticing their eyes and thereby fleeing. This particular article recounts the story of Brian Bethel, a reputed veteran journalist and columnist at Reporter-News, which took place in 1996, and is the earliest known BEK encounter in the record. On a spring or summer evening in 1996, Bethel was making his way to his Internet Service Provider Camalott Communications’ office on North 1st Street in Alibene Texas, to pay off his bills. As he innocently scribbled on a check in the dimly lit area before the theatres, intending to drop it in the office’s drop slot, little did he know that this was to be his most frightening night ever. He was seated in his car at the parking lot, when two boys aged 9 to 12 came knocking at his window. The boys, as he described them, were “a somewhat suave, olive-skinned, curly-headed young man” and “a redheaded, pale-skinned, freckled young man“. The boys wore hooded pullovers. The first boy explained that the two of them had come to watch a premier of “Mortal Kombat” at the theatre, but had forgotten their money in their mother’s house. They, therefore, requested a ride to their mother’s house to fetch their money and get back to the theatre. All the while as conversation ensued, Bethel was consumed by an irrational fear. The boy tried to convince him with assurances like: “It wouldn’t take long, they were just two little kids, they didn’t have a gun or anything.” Bethel subconsciously reached out to open his car door, when he suddenly broke his vision of the boy, and came to notice his coal-black eyes, eyes he described as “The sort of eyes one sees these days on aliens or bargain-basement vampires on late night television. 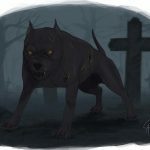 Soulless orbs like two great swathes of starless night.” Trying to keep his behavior normal, bethel muttered a few excuses, pulled at the gear, and rushed away with his car. As he stared at the rear-view mirror, he found that the children had just vanished, within seconds. Bethel’s incidence had allegedly taken place from 9:30 to 10:00 p.m. that night, an incident he could never forget. Bethel began sending private emails to a trusted few about his experiences, but soon his story spread like wildfire on the internet. Thus, the personal experience of this famed journalist was soon shared by thousands of others, some legit, some fake, but enough for the BEKs to be regarded as a modern paranormal phenomenon. Prince Petropia's real name is Ritoban Mukherjee. He is a student of Humanities and a part-time enthusiast of all things mysterious, unexplained and fortean. He is the author of a spine-chilling paranormal and occult blog All About Occult. 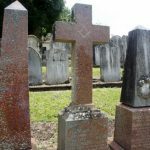 Do visit his blog for blood curdling articles on morbid mysteries, dark religions, urban legends, aliens, afterlife, haunted locations and parapsychology.